So What’s It All About Ken? Photography spaz Ken Rockwell is a leading light of the photography blogging scene, and lords knows has plenty to say about photography. Mostly, I’ve noticed, about what photography is not about. First and foremost, it’s not about your camera. “Your equipment DOES NOT affect the quality of your image.” Emphasis his. For example. It might just be about lenses , but not very many. It’s not about lens caps. It’s not about tripods. Or bags. It’s not particularly about software (he still uses iView and Photoshop proper, god help him), nor does a fast computer help. And colour management isn’t useful for managing colour. Incidentally, his site looks kind of washed out until I apply colour management to my screen. Megapixels don’t matter, with which I am in absolute agreement. Frankly, nothing new is good. It’s not about shooting raw. In fact, this whole digital thing is for suckers. “Shoot film, which I also find to be far less of a hassle than dicking around with raw files”. He’s serious. And as of last week, perhaps having run low on things for photography not to be about, it’s not about your subject. And that folks is why there is so much boring, de-contextualized, disengaging but technically competent fluff in the “interesting” category at Flickr. By the way, I highly recommend Ken Rockwell’s site for his digital camera recommendations, which tend to be pragmatic, concise and on-the-money in a way that no other photography site I’m aware of manages. Somehow, it’s about the camera. 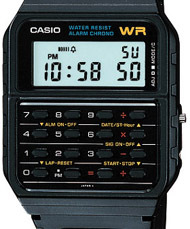 Oobject has a list of the “top 15 calculator watches“. I’m not sure what critieria they used to pick them, but you can vote them up and down the short list. They’re drawing most of the info from the fantastic Vintage Calculator Web Museum and LEDWATCHES.NET. … and the LIP Diode recreation. Thank you pulsar. 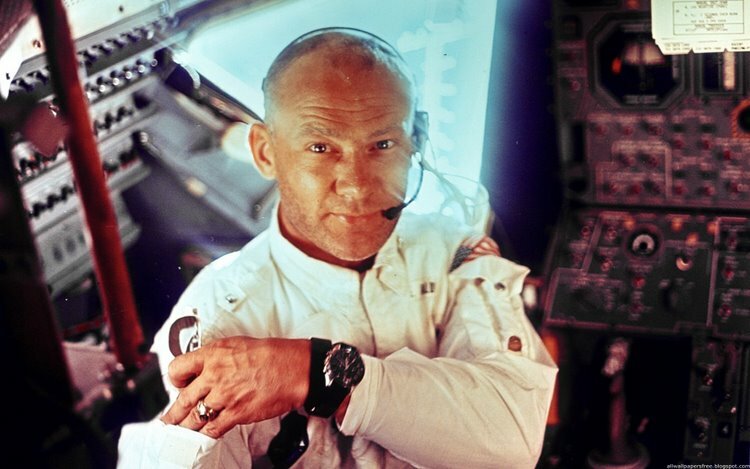 What Sunglasses Did the Astronauts Wear? 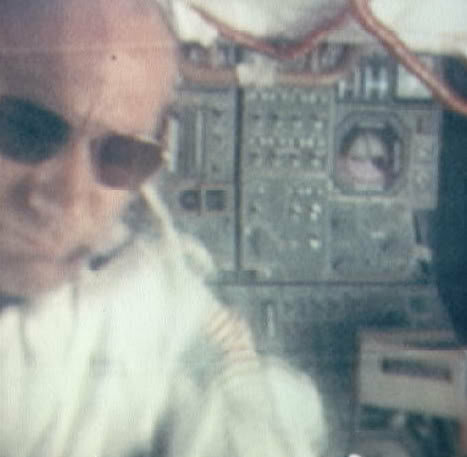 In case you were wondering which kind of sunglasses the astronauts have used in space, here is an extensive and well-researched forum thread on that topic. The consensus: American Optics Original Pilots with bayonet temples before 1982, and similar models from Randolph Engineering after that. Your computer screen may need to be colour calibrated. Mine sure did. I bought a new laptop which seems to have a nice enough screen, but I could tell by looking that it suffered from a blue cast. It’s specifically a Dell XPS 13 (yes, a Dell, forgive me), but blue-ishness seems to be a common characterisitic of laptop screens. I’ve noticed it on several, and I recall photography spaz Ken Rockwell had the same problem. It’s not an issue if you aren’t doing photography or graphic design, but if you are it is. Not knowing the actual colour of the image you’re making is a real pain if you’re planning on printing it or showing it on somebody else’s screen. Calibrating a screen has a hard part and an easy part and a hard part. The hard part is swallowing the idea of paying non-trivial sums of money for an obscure hardware thing that will sit briefly on your monitor before being forgotten in a desk for months or years. The easy part is actually running the procedure once you’ve installed the associated software and have plugged the device into your computer. The hard part is knowing what to do with the calibration profile file that procedure will produce. The calibrator I use installs a little program that loads up with Windows and automatically applies the profile file when the system boots, which seems easy. But I notice that program sometimes fails, so I have to override it and use the built-in Windows color management controls anyway. It’s less of pain in Vista than it was in XP, but it’s still a pain. Mac and linux may have better systems, I’m not sure. In any case it means digging through control panels and pondering what will happen when you plug multiple differnent monitors into your computer, if you’re into that sort of thing. What is a colour calibrator? What is a colour profile? A calibrator is a little USB puck that has a basic spectrometer built into it. The associated software produces an image on your screen that cycles through some colours. The spectrometer puck precisley records what colour your screen is actually generating. The software then compares those output values to what it was feeding into the screen and makes a little file with numbers the operating system can use to correct the difference. With that correction applied the result should be a nuetral colour response. Why don’t screen manufacturers test their screens and give out profiles? I don’t know. My old external monitor actually did come with a factory-made profile, but I only discovered it by accident while digging around the utilities cd. Maybe because every screen coming off the production line will have slightly different colour response and they can’t be bothered testing each screen individually. Maybe because they figure it’s too much to expect owners to know how to apply the profile file within their particular operating system. Maybe because they figure nobody cares. Maybe nobody does. Is there any such thing as truly nuetral colour response? Yes. But if you start to think too much about that it gets complicated. If everybody’s screen is blue-ish, shouldn’t you keep yours blue-ish so you’ll know what your photos will look like on theirs? That’s depressing, next question. Shouldn’t you do this for your printer too? Yes. But that gets complicated. And expensive. Will the printer at the photo store you send your prints to have a nuetral colour response? Maybe, but they will hopefully have it calibrated if it doesn’t. But that gets complicated. For now, just worry about your screen. Two wood-burning camping stoves. 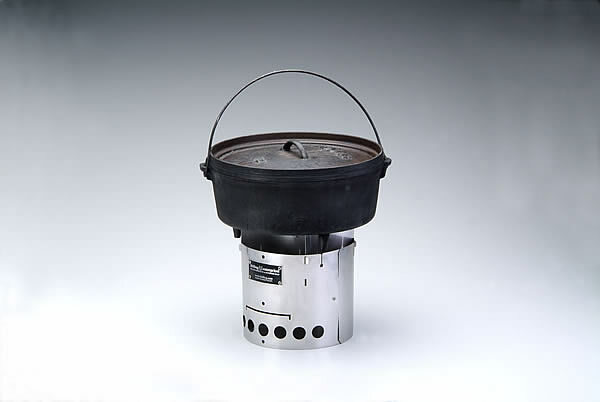 Both are designed to be light-weight and burn small bits of wood to cook food on the trail. No carried fuel, and unlike the Sierra Zip stove, no battery-driven fan. These may not be good for use in areas where woody debris is so picked-over as to be an ecological problem (I’m thinking parts of the Appalachian Trail, most hiking areas in Southern Ontario), but in lower-human-impact zones they will use far, far less wood than an actual fire. Here’s a post from a ranger claiming he doesn’t object to people using them in no-fire zones. Both of these stoves are products of the thriving and innovative small-manufacturer direct-sales camping gear scene. Backpackinglight has been selling the Bushbuddy Ultra since BPL editor Ryan Jordan commissioned it for a long-distance arctic hike in 2006. I just figured out that the original Bushbuddy is made and sold in Canada. And, they’ve redesigned the cheaper, more robust, slightly heavier “original” model to be lighter than it was, but still cheaper. So there you go. The Bushbuddy has a two-wall design to preheat the air supply, which they claim lets it burn “as clean as a candle”, more efficiently, and perhaps most importantly to a westerner, with wetter wood. 6.5oz for the $100CDN redesigned Bushbuddy basic, 5oz for the $120CDN Bushbuddy Ultra. Or, if you’re in the US and know that import duties are high, get it from Backpackinglight for $140USD (a little cheaper if you’re a BPL member). Update: Fritz from F.H. Enterprises emailed to say that there should be no duty charged going into the U.S. and to point out that at the exchange rates at time of publication, that makes for about $79USD, including shipping. If the Bushbuddy is too high-tech for you, the Littlbug is a similar thing with an even less engineeered design. Comparable weight, plus it breaks down and nests (in a good way). Not dual-wall, so perhaps that effects performance. Appears a little more durable, and they’re substantially cheaper. $60USD for the 5.1oz “junior”, and there’s a 16oz “senior” for the youth-group community for about the same price. Note however that the Bushbuddy has a closed bottom to reduce scarring, and the Littlbug would need the 9oz/$25USD firepan for the same function. Note also that the firepan comes bundled with a hanging chain, in case you want to have a suspended “self-centering” fireplace, or you could buy two for campsite poi twirling. According to their respective websites, the Bushbuddy will boil 1 liter of water in 8-10 minutes, and the Littlbug Jr. will take 4-6 minutes for the same operation (they use American water, which only comes in quarts, but it’s very similar). Interesting, although a side by side comparison controlling for ambient and water temperatures, altitude, wood type and fire making technique might yield different results either way. If you’re concerned about the energy your stove will consume in reaching you, and concomitant climate-altering carbon emissions, I have prepared a rough map of the gearshed boundary of the two devices. The Bushbuddy is made in Iskut (!) BC by Fritz, the Littlbug comes from Kent and the individuals with disabilities he employees in Bemidji Minnesota. Note that this is only a first-order analysis, and does not account for road networks or flight paths, border effects, idling times, switching costs, or aesthetic factors. You may wish to conduct your own analysis. Note also that if you buy the Bushbuddy from Backpackinglight, it will be traveling twice. Note also also that the closer to the line you are, the less it really matters. Not that Calgarians would care, anyway. This is not a review: I have not used either of these stoves (I’m still in a love/hate relationship with my alcohol stove). If anyone has first-hand experience they’d like to share, please comment. Update 2:Kent contacted me and is sending a unit for review, and it turns out that a friend of mine has a Bushbuddy, so once I have both in my hands I’ll make a new post comparing and contrasting the two. Watch this space. And please, leave your own comments! An ELT For the Rest of Us? SPOT is (as far as I can tell) a company that maintains it’s own satellite capability in order to provide a sort of enhanced emergency locator transmitter capacity for hikers and other regular folks. It has the basic functionality of the kind of ELT that planes and arctic canoeists carry — push the big red button and a signal goes out to emergency responders with your gps location. Unlike an ELT it’s designed to be always or often in contact with the satellite network. This enables some somewhat gimmicky tricks: “messaging” (I think there’s actually a button that sends a canned ‘I’m OK’ signal to your parents), and pushing your location to Google Earth, so people can follow your progress on your big trip. I haven’t gone shopping for an ELT lately, so I don’t know what the costs of the units or the service charges are, but $170 plus $10/month for one of the SPOT devices is probably substantially cheaper. One prime question for either service: where does the emergency signal go? ELTs traditionally broadcast directly to some governmental dispatch headquarters, usually military. They probably didn’t contemplate every weekend warrior having a line in to their little room, so it isn’t surprising that the SPOT does not communicate to the government. Rather they maintain a contract with the pseudo-official “GEOS International Emergency Response Center“. The employees there will decide who is the most appropriate agency to respond to your situation and get in touch with them. That could be a feature or a bug, depending on the quality of said employees and who is willing to pick up the phone when they call. It’s sort of an On-Star service for the crippled and mortally injured. Cross your fingers they don’t go out of business while you’re out. One thing that SPOT (and GEOS) can do that, as far as know, a standard ELT cannot: sell you $100 000 worth of extraction insurance for $7.95, via Lloyds of London. Or, strangely, $150 if you wait until after initial activation to make the purchase. Rescue cost liability is a very big deal in the remote outdoors scene these days. If that really is the deal it appears to be, that could be a very good deal. If only Lloyds sold lawsuit-liability insurance at those rates, maybe commercial wilderness guides wouldn’t be suffering the way they are. So does it actually work, mechanically speaking? GPS magazine says they’re well built (!) but lack in gps sensitivity. I’m not sure if that is a deal-breaker, I guess it depends how far you’ve fallen down the box canyon when you break your leg on that Utah overland hike. update: the consensus of the commenters at GPS Magazine, who have actually used the service, seems to be not recommended. If you think you seriously need an ELT, get yourself a serious ELT I guess. Maybe future iterations will be superior. We don’t have anything like this in Canada. The wacky boys at Boing Boing Gadgets are doing “three days of fiction-based blogging”. Product of which is here. I regret that they took the time to explain the project, I was enjoying it even more before I had it categorized for me, but it’s still great stuff. There’s some real effort at play. Judging from the comments on the only open thread so far, lots of people don’t appreciate having the flow of their gadget-information interrupted for mere art and humour and social commentary. They are threatening to go to other gadget blogs. Sounds like a good idea to me. It’s a tough posture that Boing Boing Gadgets trys to maintain: simultaneously scorning consumerism while being a gadget blog. Reminds me of the fundamental dissonance at the heart of techno-utopian, post-WELL northern California. This looks like an effort to poke a finger into that chasm. 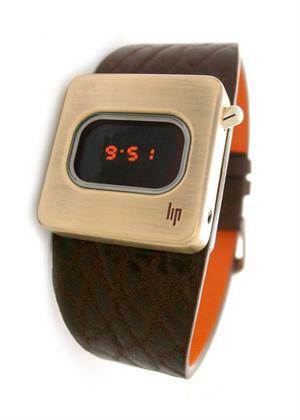 Good O, Boing Boing Gadgets. I haven’t seen Indiana Jones and the Crystal Skull, but this is great. Oh boy. I want Dan Akroyd to narrate my wedding. But I have to ask, where can I purchase this fine product? Earlier this evening I was hanging out with my supervisor, discussing music storage formats and our evolving relationship with the decreasingly tangible but still vital ways we invest value in our music collections. Yes folks, we live a life of the mind around here. I announced I would start watching for the important moment when the temporal extent of my music collection exceeded my age. For the record, right now it’s at 2 1/2 months. (My music collection, not my age.) As I understand it, Paul Mawhinney’s collection is approximately lifetime length. And it’s largely vinyl. If you think we live too much a life of the mind around here, here’s an escalation: I believe our society should support institutions which are sufficiently abstract but sufficiently funded by tax money that one would purchase and properly archive Mr. Mawhinney’s music collection. See also: The Vinyl Anachronist, cranky, intermittent, vinlyic editorialist for the wonderfully named Perfect Sound Forever ezine. See this one, for example.